In this executive condominium, The Brownstone EC, the availability of multiple public transportation options so close to home also make it easy for students to move back and forth. However, even without the easy transportation options, there are already 3-schools within walking distance of the Brownstone EC. These schools are: Ahmad Ibrahim Primary School, Yishun Primary School and Ahmad Ibrahim Secondary School. Ultimately, the Brownstone EC is an excellent place to come home to and raise a family. 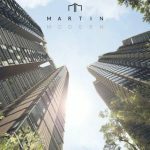 With its great location in one of Singapore’s up and coming neighbourhoods, this executive condominium is sure to be a great investment into your future for your family and yourself. Visit the showflat today to see what Brownstone EC can truly offer. Click the Brownstone EC Price to find out the latest transacted prices and the floor plans to find an ideal unit.